#213. The Old Hall. 6 x 8, etching on heavy paper. 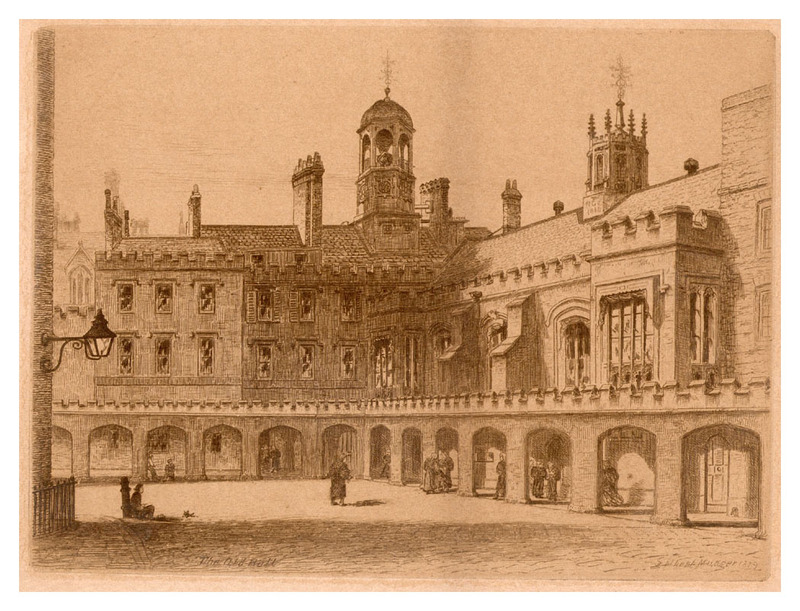 Included in the etching: lower left "The Old Hall"; lower right "Gilbert Munger 1879". 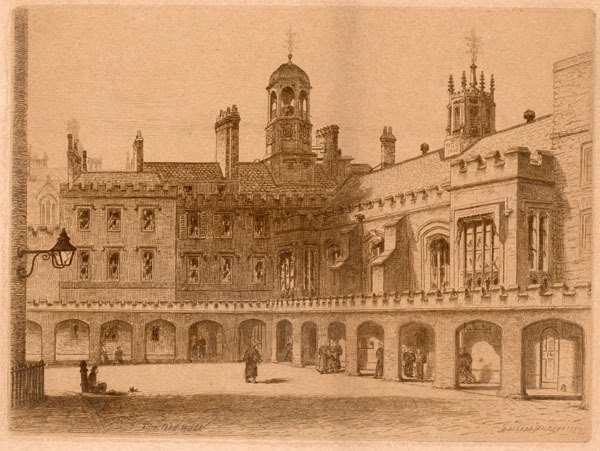 One of a group of etchings of London offered in Catalogue of Etchings and Engravings by the Fine Art Society, London,1882, as: "The Inns of Court: Six Etchings of the Temple and Lincoln's Inn, by Gilbert Munger. Price £2 2 0, separately £0 10 6 each." Five of the six have been located. See #214,#215, #216, and #231 for the other four from the same group. This particular etching is has been in the collection of the Harvard University Law Library since the first half of the 20th Century; Hollis No. 006828945. It was located by the staff of The Magazine Antiques while preparing the Munger article for publication in the July 2003 issue. A second example was purchased at a South Windson CT antiques shop. Digital image provided by the Library.